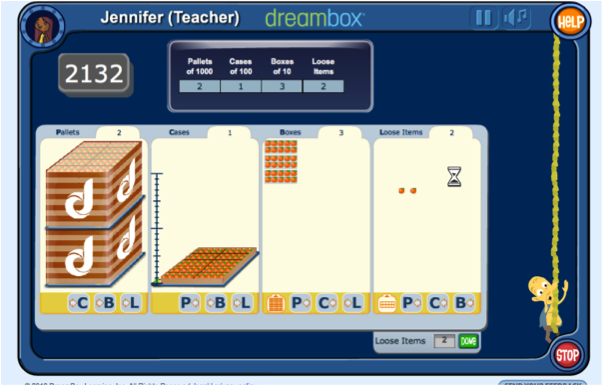 DreamBox Math is both a website and a mobile app for learning that personalizes and engages elementary students in their math learning experiences. It helps students to master basic concepts in an interactive environment. Using 'virtual manipulative tools' all learners can participate no matter what their grade level achievement. This website and mobile app could be implemented into an elementary math class as a review and formative assessment tool for teachers. The teacher can control what content they have access too, and upon completion of the activities individual progress reports are made for each student. This would provide students with a fun and engaging review to the math content they are learning, while also providing the teacher with sufficient evidence of student learning. This photo is an example of a grade 3 math lesson targeting counting by base tens. This photo is an example of how the globe portrays the detailed graphics around the globe in a 3D format. This photo is an example of how this app incorporates different tools that help each student to personalize their journal entry. BareFoot World Atlas is an educational mobile app for the ipad and iphone that allows students to discover and explore different countries and regions of the world. It is a 'magical interactive globe' that invites students to see how other parts of the world connect to our own or differentiate from our own through extremely detailed graphics. It is not only graphic of the geographical landscape, however through virtual interactions students can meet people from different cultures and truly understand their way of life. This is an excellent app for educating students in a Social Studies class about the diversity of the world-physically, culturally, economically, and linguistically. This could be used in a grade 3 classroom based upon the learning of Communities in the World. Create an assignment comparing and contrasting our culture in Canada to a different country in the world. They will discover using the globe this information. iDiary for Kids: Journaling Platform. iDiary for Kids is a mobile app that engages students to write personal entries using creative text, the use of a photo and even tools such as drawings or stickers to create a very personal entry. This app is targeting for lower elementary levels which helps to aid in writing skills, grammar, and developing creativity. This would be an excellent tool to implement into a Language Arts class. For example, the teacher could use it as a supplementary activity to the weekly spelling words. The students would need to incorporate the spelling words in their correct context within the journal entry. It would engage students as they are free to choose the topic and be creative. The teacher could assess whether the students understand the context the words should be used in. Mobl 21 is both a website and a mobile app. 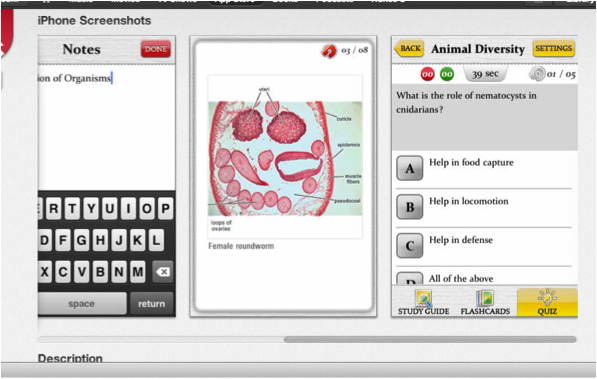 It allows for the creation of study guides, flashcards, quizzes and personalized study tools. Mobl 21 incorporates interactive multimedia, text descriptions, and the ability to collaborate with other students whom are studying the same topic. It can be created very simple for younger learners, or developed complex for higher education. This app would be very beneficial for higher level sciences in a secondary school system. 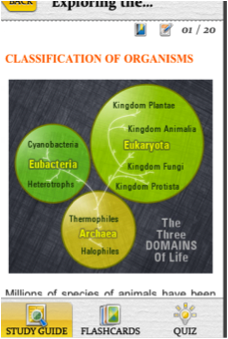 For example, at the start of a Biology 30 unit the teacher and students could use it as an ongoing study habit for Body Systems. Definitions, key concepts, and photos could be used with this app to help aid in studying and reinforce knowledge on topics. 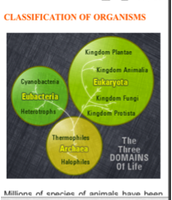 This is an example of how Biology content from a high school class could be used with this app. Here is example of the 'quiz' function when using Mobl 21. This is an example of how the Story Wheel App offers guidance to students while they are creating their own story. 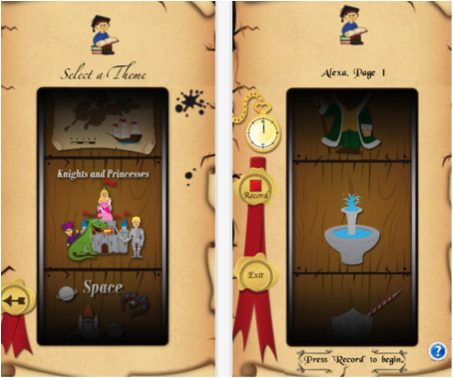 Story Wheel is an educational app that is designed for both the ipad and the iphone. It is developed to help students gain an understanding of story and content composition in an engaging and creative way. Students can work on their language skills and their creativity with this app. Students can share their work by e-mailing it to the teacher or to their families. This app could be used as a supplementary tool or an introductory activity to a Language Arts lesson focusing primarily on composition of writing. In an elementary classroom, teachers could educate students that their is a beginning, middle, and end to every story and that these principles are important so the story makes sense. This app could be used as practice for the students to comprehend this knowledge as well as create their own stories using these principles.